This is me in 2016 at the Asian Festival for Children's Content and what should I say about myself? Well I'm just a fun guy who loves to be creative. 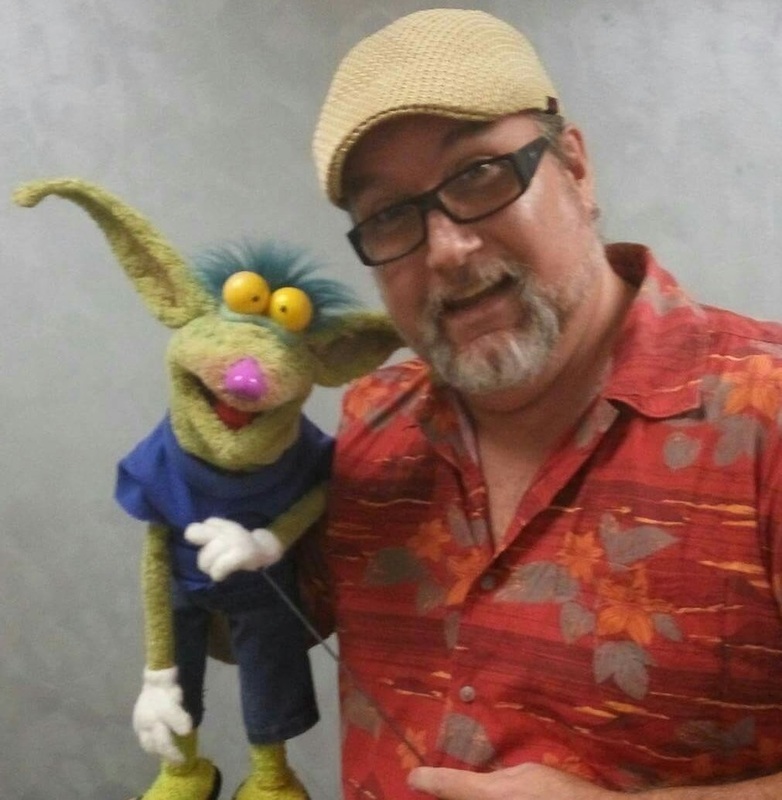 I am a puppeteer with over 40 years of experience as well as a voice director for animation a published author and a content creator. Feel free to take a look around and see some of the cool stuff I do. The video clips below are the show I created and produced with my best friend Brad Bowyer. The Puppets were made by my puppet building pal and all around creative genius Matt Ficner and the additional puppetry support was courtesy of Matt Ficner and Heath McGiver. My wonderful writing team was made up of Jamie Meldrum, Justin Lee and Jackie Chan. Please enjoy them and feel free to share. The Little upside down gremlin at the top, just above my name is a wonderful little puppet that I love dearly. His name is Gobby and he's sort of my trademark. I just want to thank my dear friend Matt Ficner who made Gobby as well as drew the cute little monkey character on my page. Matt, thank you for being a super friend and your talent has helped me be creative in many ways. Thanks Matt!